When it comes to implementing Agile, managers who are used to a “Command and Control” environment are going to be very uncomfortable. Now, let’s be honest, Command and Control managers are not all bad. They typically feel a high degree of accountability and that is a great thing. They feel like their neck is on the line so they want actions to be done as they command so that they can deliver. But what they fail to benefit from is the wisdom of the team. Think about your team or colleagues. Who has long tenure and has ‘been there, done that’? Who is a relative new hire who may have relevant experiences from a previous employer? Who has worked in several different departments? Who has worked in several different roles? Each of these unique traits means that an employee might bring a unique perspective that the manager would benefit from, if they were willing to listen. Albert Einstein has famously said “we cannot solve our problems with the same thinking that we used when we created them.” Our employees have great ideas and many welcome the opportunity to creatively solve the problems of the business. Members of management – manager, director, VP, whatever – should present the team with the problem or opportunity and let them ‘self organize’ to determine how they will solve the problem with teamwork. Let’s look at an example of how true support can unfold. Our situation is that the testing work is not getting completed in a timely fashion. The Director over this team can see this happening and it is impacting both the deliverables and the morale of the team. The Director approaches the manager of the group about the problem and the answer received varies dramatically by the type of manager. The “Command and Control” manager sees this as an opportunity to jump in and assert their will. The Agile manager sees this as an opportunity for the team to grow and mature in their problem solving abilities. Would you feel comfortable responding like the Agile manager to your boss? Just the thought of that probably makes some people squirm, but this is exactly what Agile is asking of us in our management roles. One of the hardest things for management in an Agile organization is to truly empower self-organizing teams because – by definition – it means that the manager is not part of the team. That is a hard position to be in. To attend a Stand-Up meeting and not speak is difficult. To have a suggestion for how to solve a problem, and yet be silent so the team can come to their own solution is difficult. To watch the team head off to their retrospective and know that you are not invited is difficult. The effective Agile Manager is the one who can accept the differences in the role, respect the boundaries of the team and allow everyone to grow and learn. When the manager does this, their value to the organization goes up exponentially. They are no longer just a manager divvying out tasks and writing performance reviews – they are now a leader, a builder of talent, a facilitator of progress. That is something that every organization needs! As you consider an Agile transformation for your organization, the impacts of teamwork are surprising and disquieting. Why? Because Agile teamwork does not include the manager. And that is okay. No wait, that is better. 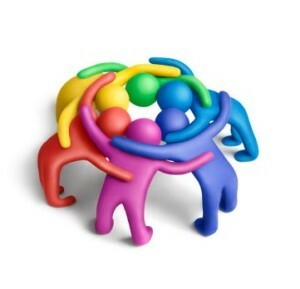 For more on Agile Culture, please visit the blogs on Trust, Transparency and the Organization. 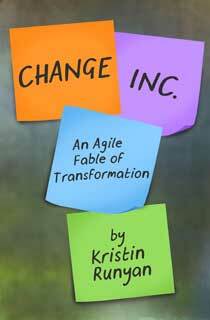 To learn more, please reference the book Change, Inc.: An Agile Fable of Transformation available on www.amazon.com.